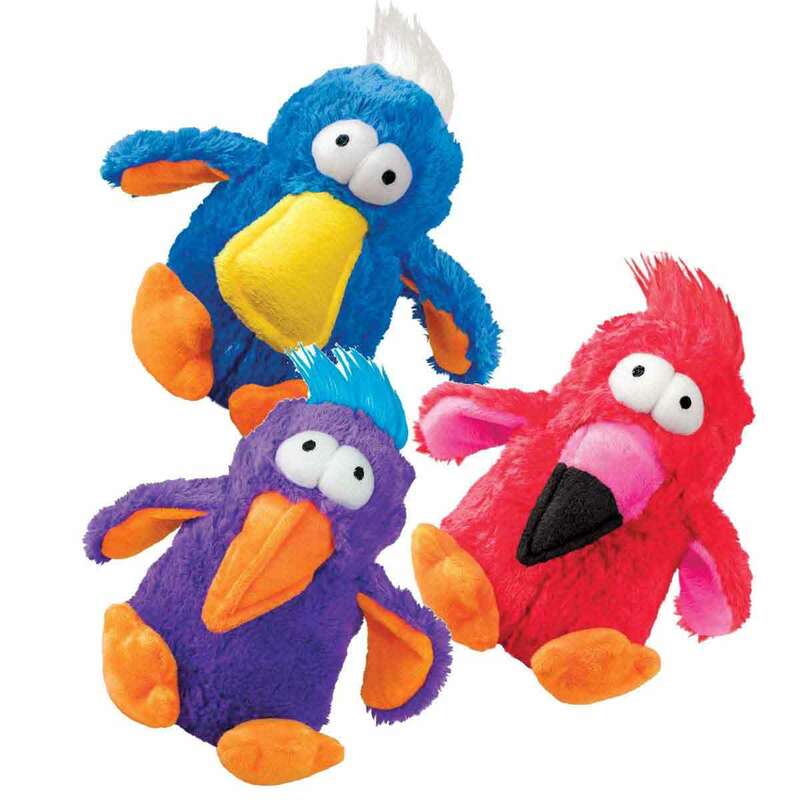 KONG DoDo Birds are soft and cuddly plush toys with minimal stuffing. Each DoDo contains two extra loud squeaker balls inside to entice dogs to play. Made with an extra layer of material for added toughness. Assorted colors: blue, red and purple. 6.25"